This article is 1865 days old. A new strategy is in the works with the aim to improve Windsor-Essex’s financial literacy among millennial families. Organized by Soulliere Financial, the first workshop planned is titled cash flow planning for families. “Basically, it will be the ABCs of creating efficiencies in the family budget; ‘Tricks of the trade’ to make sure that less money slips through the cracks, and more goes toward achieving financial goals. Having a system in place can make all the difference,” says Elise Keller, co-creator of the program. Zoo-2-You will also be on hand so that parents can participate in the workshop and not have to worry about hiring a babysitter. The event will take place on March 26th from 6:30 pm to 8pm. Tickets are free, with donations to the local food bank accepted at the door. RSVP either on line or by phone at 519-979-6600 is required to ensure adequate child minding. Future offerings throughout the year will include an interactive children’s workshop, where children and their parents/grandparents will engage in fun learning activities related to building early money skills, Off to School, a readiness course for College/University bound students, and Young Investors, a crash course in basic savings and investing. Finally, Financial Foundations has been created as an ongoing education, coaching and planning program for young adults and young families navigating debt, savings, cash flow challenges and major purchase aspirations. “At Soulliere Financial, we believe that financial literacy is vital to the prosperity of Windsor. 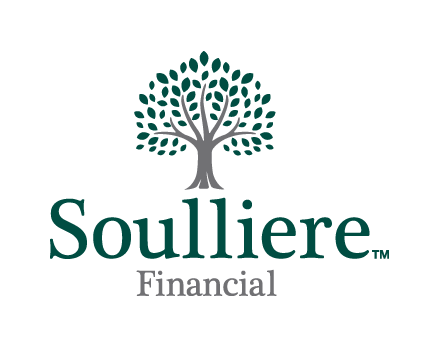 Increasing the knowledge, skills and confidence of Windsorites to make responsible financial decisions will help them meet their personal goals, enhance their quality of life and ultimately make Windsor more competitive” says Pat Souilliere, president and founder of Soulliere Financial.